If you’ve had any sort of storm, water, or fire damage in or around Porter Ranch you need immediate professional flood restoration services to avoid further harm. Prompt flood damage removal, water damage restoration, fire damage repairs, smoke and odor removal, and mold removal are necessary to avoid more expensive repairs later, expenses your insurance won’t cover if the right steps weren’t taken at the right time. Even when the fire is out and water has drained away, you still have an emergency situation. Doing it yourself or calling in a handyman or general construction crew simply won’t do. 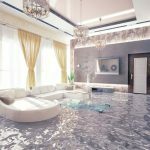 To protect your financesyou need a company with certified flood removal technicians who have the extensive specialized knowledge and experience necessary for these surprisingly technical services. You’ll get your life back to normal sooner and with no surprises in returning everything to like-new condition. 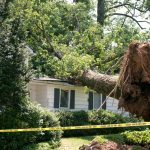 Firms such as Restoration Masters can also take care of storm damage repairs, pack out services, leak detection, carpet and furniture restoration, and more. So there’s no need to continue feeling overwhelmed trying to coordinate recovery restoration yourself. You need to be attending to your family and work rather than further stressing over what needs to be done and when. The first day (and sometimes even the first few hours) are critical, so immediately call a company that specializes in damage restoration and has a expert that you can talk to 24 hours a day. Our company is always ready, with specialists on call 24/7 and the fastest response in the area. Family owned and operated, we can be at your Porter Ranch location in less than an hour. With years of full-service restoration, we employ only well-trained crews, keep them up to date with ongoing education, and maintain the latest state-of-the art equipment. To excel in the many specialized procedures we have technicians holding CRC and IICRC certifications in the full range of necessary skills. 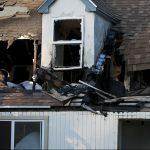 We know exactly what to do in order to minimize further harm and to rescue possessions as well as the building. 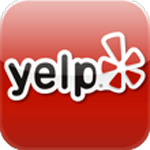 Restoration Masters is also well aware that you’re making your way through a difficult time so we also strive for excellence in customer care, with the goal of taking as much paperwork and worry off your shoulders. We’ll also work extra-hard to recover items of sentimental value. For your peace of mind and a smooth insurance claim we thoroughly document everything, keep you informed on progress, and are happy to discuss options and answer questions all along the way back to a pre-loss home or business. We have working relationships with the major insurers covering Porter Ranch as well as with many of their local adjusters and agents so we know just what to do. We’ll bill them directly, so there’s no upfront payment delaying mitigation and recovery work. We know exactly what needs to be done to avoid having claims for secondary damage rejected, and all the details of documentation required for fast claims processing. With all the experience, knowledge, certifications, and licenses required Restoration Masters is a single company that can take care of all restoration needs, start to finish. We’ll start with an assessment and free quote, then secure the building. After that we’re ready for whatever sanitation, cleaning, repair, and reconstruction you might need with specialists for each and every task. To complete the job we’ll also do a final clean up and haul-away, with proper disposal of all wastes and materials. You’ll truly and completely be back to pre-loss condition. Flood Damage Restoration. Whether from a storm or plumbing failure, fast action is needed to minimize water damage repairs and health hazards. Our flood damage restoration services include pump-out, sanitation, water damage removal, and mold remediation experts working together to make sure that everything is properly taken care of. Water Damage Restoration. 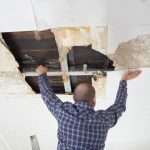 Water quickly penetrates into building materials and begins causing progressive destruction, so special equipment and procedures are necessary in order to do in just a few days what would ordinarily take weeks. We combine water extraction and structural drying to bring moisture down to safe levels as quickly as possible, beating ordinary measures by a wide margin. Water damage restoration also includes applying antimicrobials, neutralizing odors, and repairing or replacing all damaged materials and finishes. Mold Remediation. Any mold problem needs to be taken very seriously. Many species (and not just black mold) release toxins that with extended exposure often lead to very serious health conditions. And they all release allergens and harm building materials. 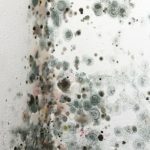 All that can be happening out of sight, as mold is a fungus and doesn’t need light to grow. Mold removal needs very special expertise and checklists must be followed to the letter. Otherwise allergens, toxins, and the mold itself are likely to spread throughout the building. Furthermore special steps are necessary to avoid regrowth as well as to neutralize those musty odors. Leak Detection. 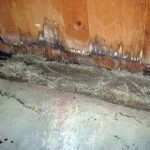 Given time even a small leak leads to mold or other harm. If the source is hidden inside the building structure you need expert services. Our professionals combine their years of experience with the latest electronic instruments to pinpoint the location without making a single hole in the wall, floor, or ceiling. Fire Damage Restoration. 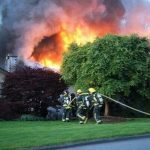 Beyond the need to make the building structurally sound again and replace all burned areas, fire damage restoration is technically complex and must deal with a host of issues such as toxic and corrosive smoke together water damage repair from firefighting (and the opportunity for mold). And all that applies to building contents as well as to the structure itself. From there our crews are ready for top-quality cleaning, repairs, and reconstruction. Smoke and Odor Removal. With hundreds of different compounds that vary from fire to fire, smoke & odor removal requires choosing the exactly right treatment for each and every item. And if not completed soon enough those compounds penetrate to where they can’t be reached, leaving you with lingering odors. Our industry best-practice procedures cover charred and “undamaged” surfaces, furniture, and other contents as well as non-toxic odor-neutralizing treatments that reach deep into the building structure itself. Storm Damage Restoration. Porter Ranch has been hit by numerous storms with heavy winds and heavy rain. Afterward there’s lots to take care of, from yard debris clean up all the way to replacing windows and reconstructing a roof and walls. Our crews are ready to take care of all storm damage restoration, so there’s no need for you to take time off work or turn your home routine upside down. Pack Out Services. It’s often best to remove building contents, treat them under controlled conditions, and securely store them until it’s time for their return. That’s especially important for rugs, furniture, appliances, and electronics. Removing furniture and other possessions also speeds building drying and repair work. The Aliso Canyon gas leak (https://en.wikipedia.org/wiki/Porter_Ranch,_Los_Angeles) has dominated the news, but unfortunately Porter Ranch CA hasn’t been without its own storm and fire disasters. In January of 2016 the area was hit with heavy rains (and flash-flood warnings) and winds peaking at 69 miles-per-hour (http://www.latimes.com/local/weather/la-me-ln-powerful-storm-southern-california-sunday-20160131-story.html). Before that we were hit by the major Porter Ranch Fire (also called the Senson Fire) in 2008 that burned over 22 square miles and destroyed numerous homes (https://en.wikipedia.org/wiki/Sesnon_Fire), claiming statewide attention.